Last week I wrote an article about the FitzGerald's American Music Festival and the last line of the piece said, "Washing a po’ boy down with a cold beer while listening to the Preservation Hall Jazz band sounds like a perfect way to spend an afternoon to me!" 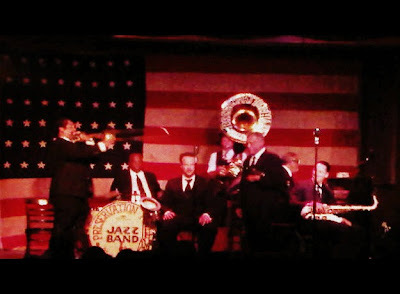 Well, Leif and I actually headed over to FitzGerald's on Friday night and had a couple of Po'boys and beers while listening to the Preservation Hall Jazz Band. Cheers to truth in the media and a most excellent way to welcome the fourth of July week-end!